DOT Industrial Eyelets Fasteners: Steel Eyelets, Titanium Eyelets, Brass Eyelets - Bolt Products Inc. DOT industrial eyelet fasteners are more economical than other types of industrial eyelet fasteners and can be quickly and easily set with attaching equipment. Versatile and efficient, eyelets are is ideal for high-speed, high-volume production, as well as low-volume operations. Available in a variety of materials, styles and finishes in 60 standard sizes, DOT industrial eyelet fasteners allow you to lower costs without sacrificing quality or selection. 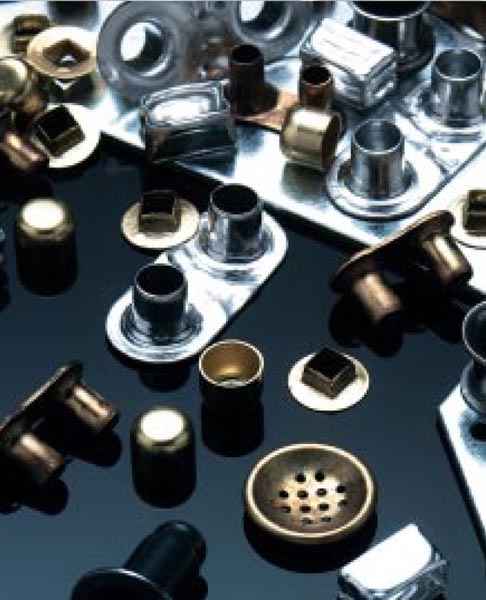 We also provide specialty eyelets and grommets as well as the necessary tools to meet customer specifications.